Asbridge, Thomas. The Creation of the Principality of Antioch, 1098-1130. Boydell Press. 2000. ISBN 978-0-85115-661-3. Brown, Gordon S. The Norman Conquest of Southern Italy and Sicily. McFarland&Company, Inc. 2003. ISBN 978-0-7864-1472-7. Conti, Emanuele. L'abbazia della Matina (note storiche). Archivio storico per la Calabria e la Lucania. 1967, 35: 11–30. Fink, Harold S. The Growth of the Latin States, 1118-1144. (编) Setton, Kenneth M.; Baldwin, Marshall W. A History of the Crusades, Volume I: The First Hundred Years. The University of Wisconsin Press. 1969: 368–409. ISBN 0-299-04844-6. Luscombe, David; Riley-Smith, Jonathan. The New Cambridge Medieval History: Volume 4, C.1024-c.1198, Part II. Cambridge University Press. 2004. Nicol, Donald M. Byzantium and Venice: A Study in Diplomatic and Cultural Relations. Cambridge University Press. 1992. ISBN 0-521-42894-7. Norwich, John Julius. The Normans in Sicily. Penguin Books. 1992. ISBN 978-0-14-015212-8. Runciman, Steven. 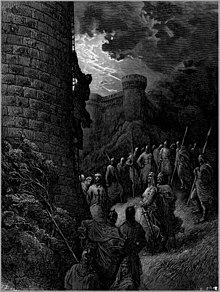 A History of the Crusades, Volume I: The First Crusade and the Foundation of the Kingdom of Jerusalem. Cambridge University Press. 1989a. ISBN 0-521-06161-X. Yewdale, Ralph Bailey. Bohemond I, Prince of Antioch (PhD thesis). Princeton University. 1917.